This entry was posted in Html to Pdf, Releases and tagged expertpdf, html to pdf, pdf library for .net on November 1, 2016 by expertpdf. 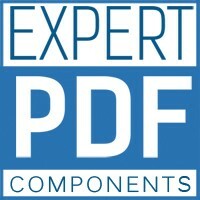 ExpertPdf works on Windows Azure only if it is used in a virtual machine or a cloud service. Due to some security restrictions, ExpertPdf does not work on Microsoft Azure if the web site execution mode is used. This entry was posted in Html to Pdf, Html to Pdf API and tagged azure, expertpdf, html to pdf, microsoft azure, pdf library, pdf library for .net, windows azure on December 10, 2014 by expertpdf. This entry was posted in Releases and tagged expertpdf, html to pdf, pdf library for .net on November 26, 2014 by expertpdf. ExpertPdf can convert any web page, local html document or html string to pdf. You can get the pdf document as a stream or byte array ready to be used in your application, saved to disk or displayed in browser. ExpertPdf for .NET offers the best HTML to PDF conversion technology to use in your asp.net and windows forms applications. The HTML to PDF Converter can convert to pdf any web page or html string that a browser can display. This entry was posted in Html to Pdf and tagged aspx to pdf, html to pdf, pdf converter, pdf library, pdf library for .net on November 22, 2014 by expertpdf.